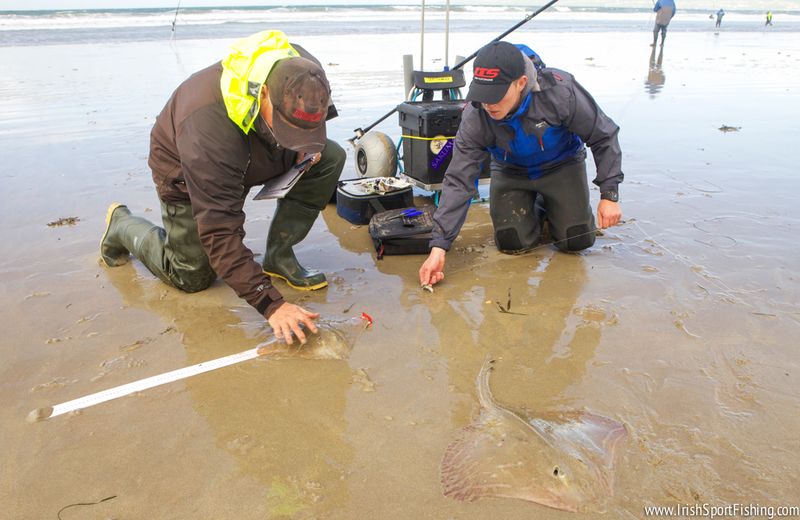 Anglers fishing the Daiwa Pairs competition experienced some good fishing for Painted Ray on Banna Strand, Co. Kerry. 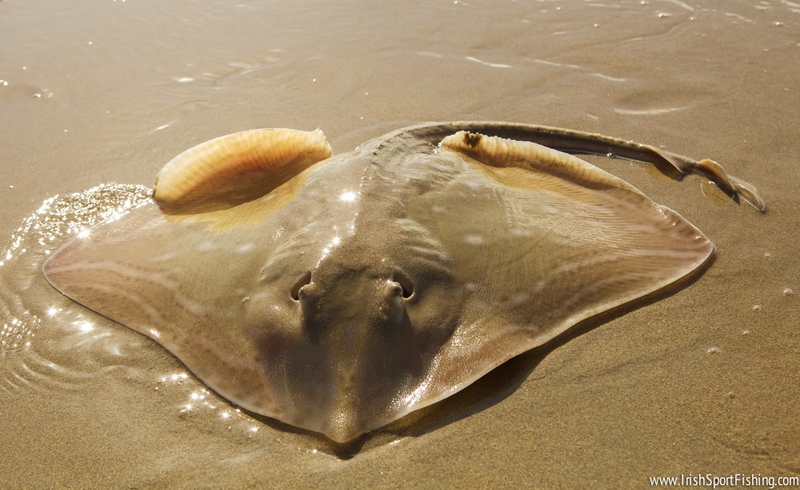 While this beach is more well-known for its Flounder and Bass fishing, the appearance of these beautiful fish provided a welcome change for many. 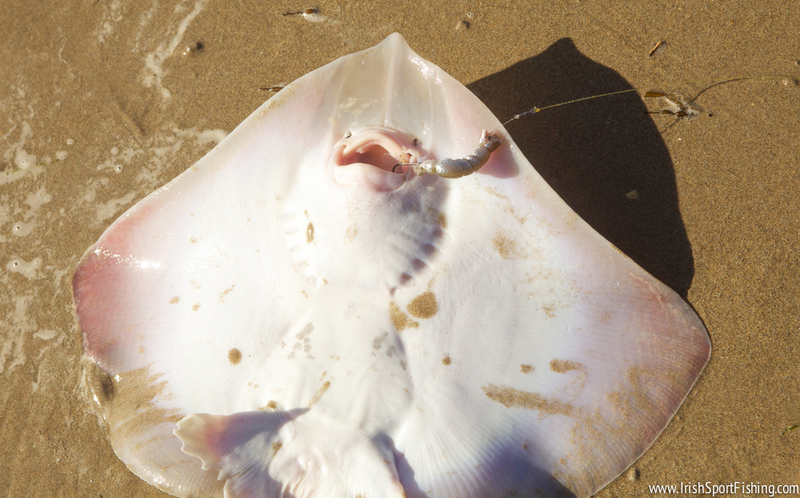 There was a good sea running due to the strong wind, and while anglers on one end of the beach struggled all day with weed, many anglers drawn in the lower numbers caught several ray each. 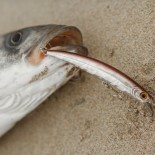 These fish often come quite close in the surf, and most were caught with a cast of around 60 yards. Sandeel was without a doubt the most productive bait. 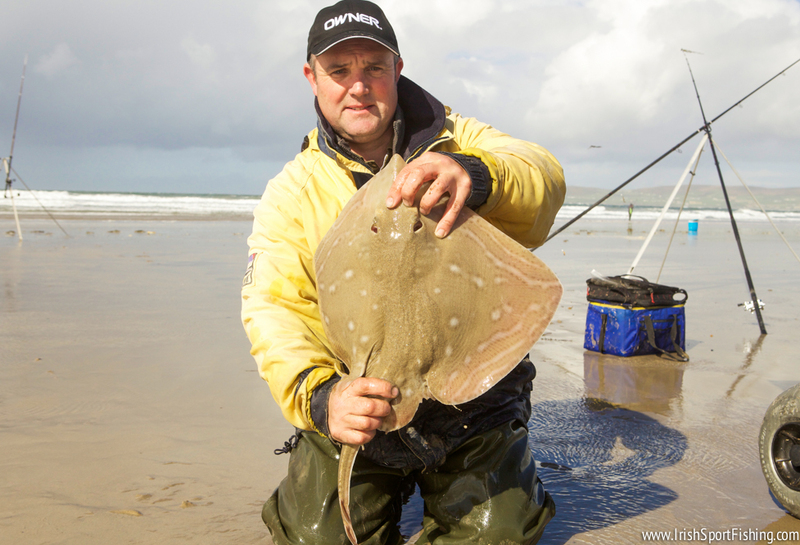 Paul Molyneux had the best bag of fish on the day which included four ray. 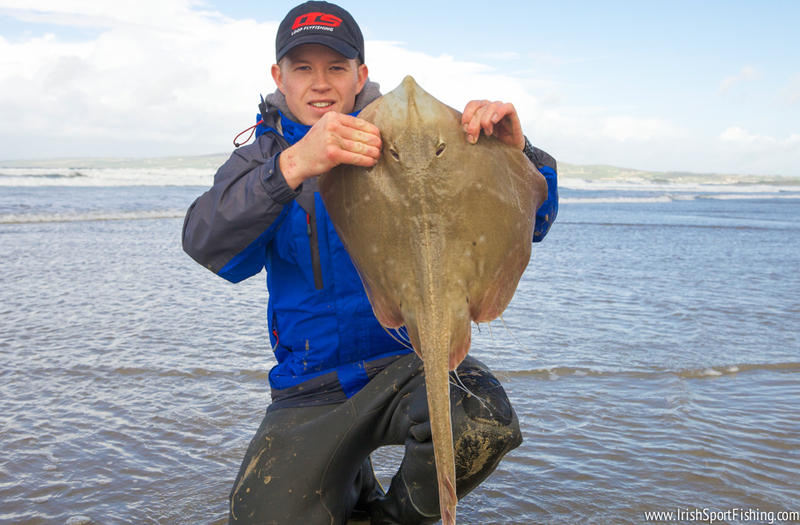 John Williams had the biggest of the day with a ray of 58cm (wingspan). All fish were safely returned. 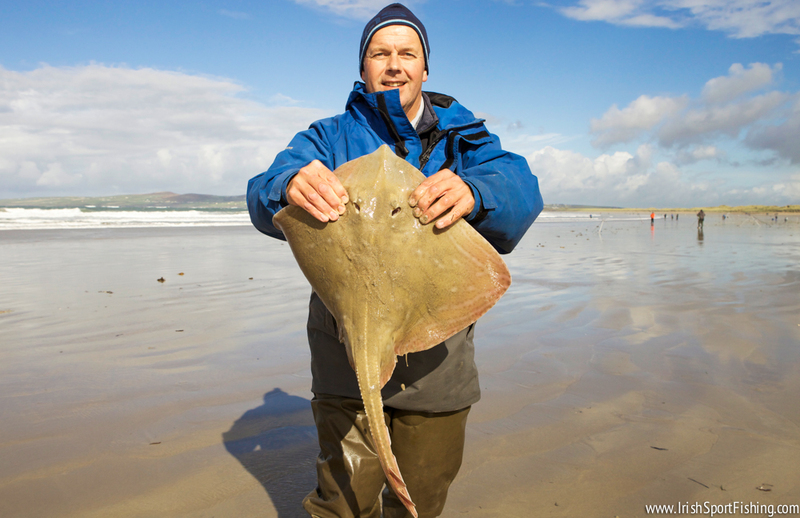 This entry was posted on October 8, 2012 by steve and tagged Daiwa Pairs, Dingle Fishing, Fishing Kerry, Irish Pairs, Irish Sport Fishing, IrishSportFishing, Painted Ray, Small Eyed Ray.